We will let you into a secret! 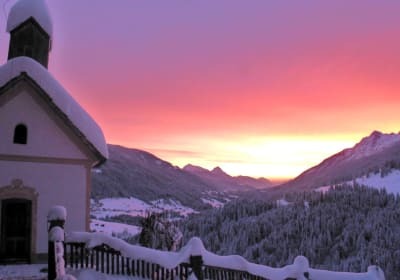 Surrounded by lush meadows and a picturesque landscape our traditional farm watches over the valley at an altitude of 1180 m. Are you a nature lover?, then you will enjoy the unique view of more than 130 km of expansive views, from the Lienz Dolomites and the Carnic Alps to the Karawanken. You can undertake up to 12 hikes from the farm and therefore your car can also be on holiday for a change. Nature is a relaxation place for humans and animals - a fantastic playground for your children. Straight from the farm the path leads through the magicfairytale forest to theGold camp by the mountain torrent. While the kids are preparing their soup in the Druid's kitchen, their parents are enjoying the peace and quiet in the philosopher's corner. Mornings and evenings the cows are taken to the pastureand Babsi even lets youmilk her. Mutz and the other calves as well love it when you feed them, and they will also let you stroke them. Farmer Hans will go hiking with you to the most beautiful mountain tops. Too hot to go hiking? - then off to the swimming pool with children's playground! Make use of the free entrance and relax. Is just the cuisinemissing? Don't worry, in the morning the aroma of coffee wafts through the room and your stomach looks forward to grandma's homemade bread with homemade butter, Gabi's yoghurt and cheese spread and the homemade marmalades. In the evenings we love to spoil you with Lesachtal delicacies in our restaurant Mühlenstüberl. 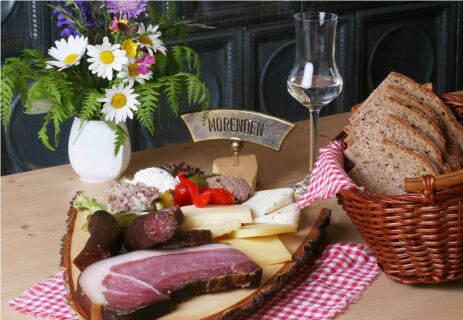 From the Lesachtal Marende (afternoon snack), our own bacon up to the traditionalStockplattl`n, simply enticing delicacies. 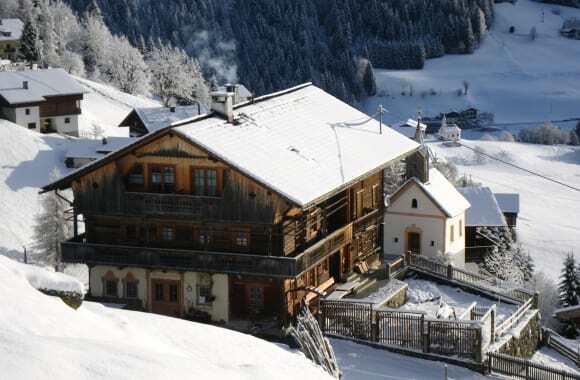 Because of its location, our farm is the ideal starting point for snowshoe hikers and ski tourers. You can undertake up to 4 hikes or ski tours straight from the farm. 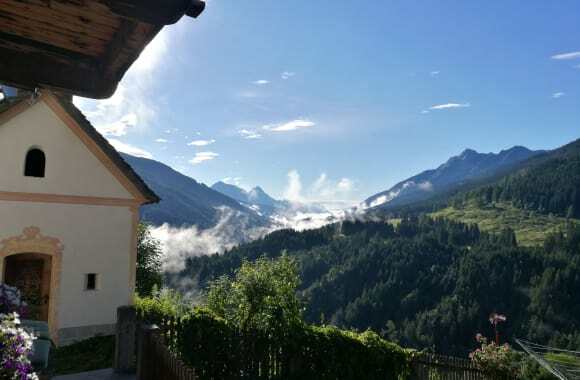 The Alpine Club has chosen our farm as its base for the Alpine Club groups. Recharge your batteries in the unspoilt natural surroundings and enjoy pure powder snow! The children can hardly wait to help in the stable in the mornings, to take the cows out to the pasture and to play with the rabbits and cats. The pigs are also happy when you feed them. In the morning the sun will wake you. 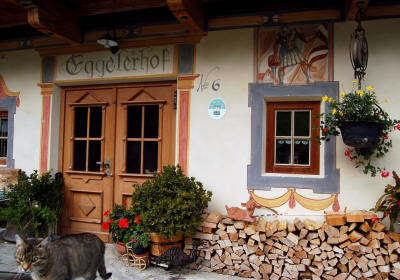 Lovingly furnished holiday apartmentin fragrant natural spruce with separate bedrooms, shower/WC, hairdryer and large hallway. ...in the kitchen/living room there is a sofa for dreaming, enjoy the sunthe whole day on the balcony. ..Children climb up to the attic to their sleeping quarters where they are undisturbed.